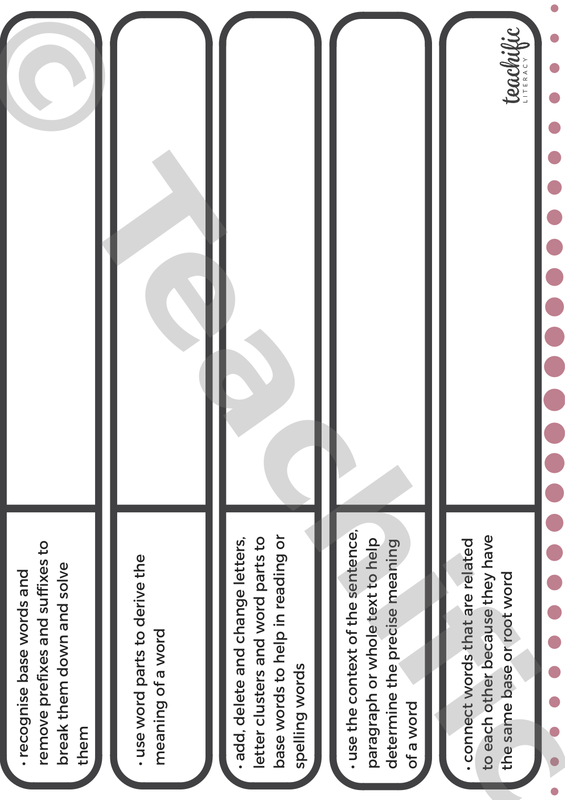 What are the critical word-solving strategies your students need to develop this year? 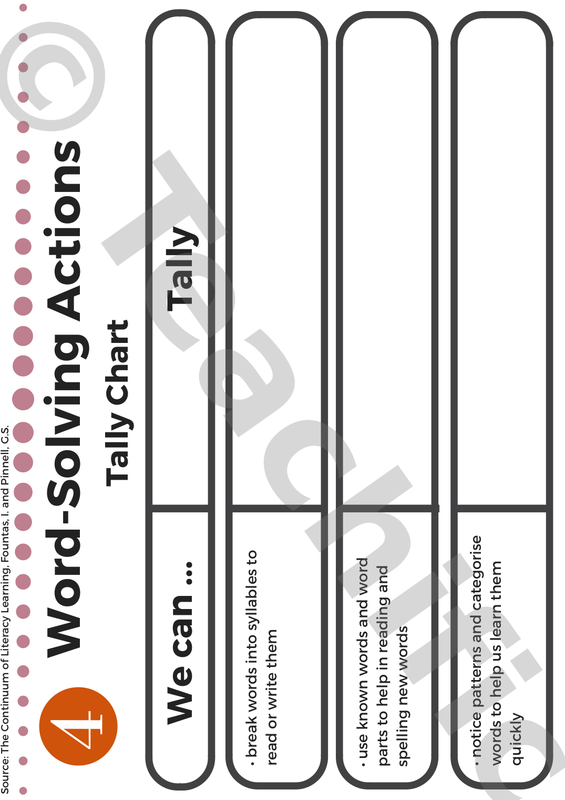 These Word-Solving Actions Tally Charts, Year Level specific, help to remind you and your students what good word solvers do as they read and write. Teach your students how readers and writers use these strategies through focus mini lessons. ACELA1779: Understand how to use strategies for spelling words, including spelling rules, knowledge of morphemic word families, spelling generalisations, and letter combinations including double letters.